These excellent new shoulder cases from Think Tank Photo and WaterField Designs provide new meaning to the term deep pockets. Lily Deane Premium Shoulder Bags are designed “for Professional Female Photographers,” and will be used by women and men in all professions. Materials and construction quality are gorgeous and world class. Interior dividers can be relocated or removed as desired. Exterior and internal compartments are versatile for infinite photographic, business, and personal purposes, including weekend travel. The ultra-attractive bag has a zippered upper section and a magnetized cover flap. There is a robust and comfortable shoulder strap, plus two end pockets for water bottles or additional stowage. A rear pocket can be used for reading material, and there is a slip-through area for the handle of a rolling suitcase. Two small and one large enclosed front pockets are ideal for quick access to accessories. Lenses and gear are easy to locate within the turquoise interior material. Three zones are configured inside the case, plus there is one elastic pocket at each end. Bonuses are a protected slip-in space for an 11-inch laptop computer and a zippered space for an iPad. A rain shield is also provided. The case stands upright whether loaded or empty. Its stylish appearance doesn’t scream Steal me! I’m full of expensive camera and personal tech gear. There is everything needed on location or on the job that is padded and protected, yet is fully accessible. Our medium size review bag is fairly heavy when fully loaded. I recommend it over the smaller or larger models. The company offers a 30-day return policy for Lily Deane Premium Shoulder Bags, and I predict few of them will make the return journey. These cases are guaranteed for life. I gave several demos of this product to my photography and iPad workshops. Notwithstanding the price tag, they were amazed with the case. Their only suggestion is to allow users easily to remove the shoulder strap and grab a cushioned handle top center. This would require a redesign of the cover flap. Well done, Lily Deanne and Think Tank Photo. MyMac Review Rating is 9 out of 10 for customers who appreciate quality and style for a lifetime of use. 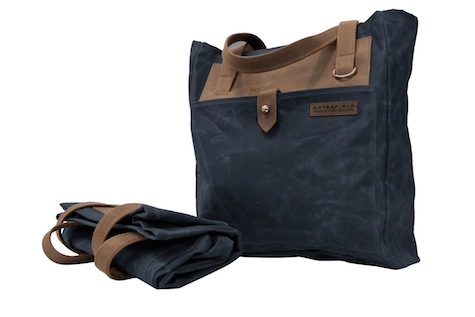 Field Tote from WaterField Designs has one massive interior area compartment plus one zippered interior pocket and one exterior easy-access pocket that closes with a leather flap and screw stud. The burgundy colored waxed canvas on our review unit is attractive and built to last forever. So are the leather shoulder straps. This tote stands upright only when loaded. 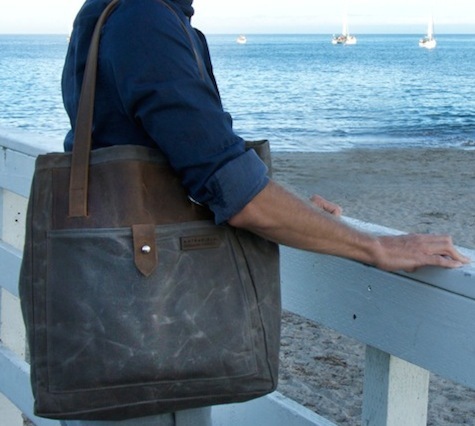 The Field Tote a stow, throw, and go carry-all. Headed to the gym? Perfect. Going out for a picnic? Ideal. Taking an extra sweater to work along with your daily detritus? Loads of room. Don’t want to call attention to expensive equipment on your shoulder? Ubetcha. Why did you develop your new Field Tote? Living in the Bay Area, we would sometimes head out to Santa Cruz or to Wine Country right after work on Fridays. I didn’t want to have to repack — just get on the car, train or ferry, beat traffic and go! We developed this tote to work in a business environment but also for short trips on the weekends. We kept it light and simple so if need be, we could fold it up and keep it as an extra bag for longer trips. You know that problem where you pack a big suitcase, arrive in a new city and realize you need a lightweight bag to carry essentials (iPad/laptop, power charger, passport, book, etc)? This tote solves that problem. It’s is so versatile, you can pack it heavy or light. You can organize your gear inside or just throw things in. And whether or not it’s full to the brim or lightly-packed it still looks good. We consider it to be a lightweight bag that can fit into a business environment or make the transition for weekend travels. The trend these days is that gadgets are getting smaller and lighter and people are just carrying less stuff. When lightly packed, the Field Tote is designed to remain narrow and unobtrusive, but for those times you need to carry a thick sweater along — or your gym clothes — the Tote expands and has the depth to handle it. And that’s another thing that makes the Tote so useful — you can take your time to carefully organize your gear inside, but when you’re in a rush, the large opening at the top and the volume of the Tote allow you to quickly throw your gear inside and dash out the door. When traveling, pack it into suitcase and use it as your day bag upon arrival. Anyone looking for a handsome carry-all. This is great as a work bag instead of a messenger bag or backpack. It’s also perfect for stowing all the little things you need to take with you on a flight; it fits nicely under the seat in front of you. Why do you use the materials and design that you have? The straps are made from two layers of premium full-grain leather so they are strong and comfortable. Our quick access front pocket is deep and secures shut via a beautiful leather tab and a classic screw stud. We have an “uncluttered design” style, so we included just the features we thought necessary and nothing in excess of that. The waxed canvas is light and durable and the full grain leather handles are hefty and solid. 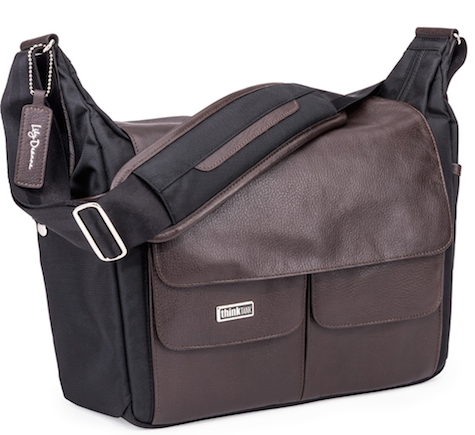 This bag has strong corners, shoulder strap and seams. 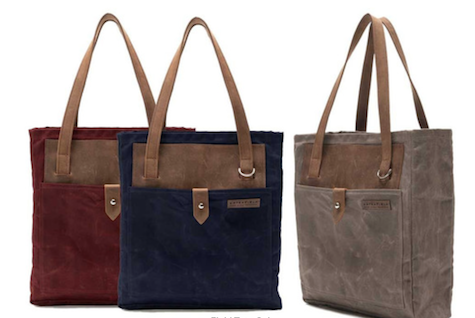 MyMac Review Rating is 8 out of 10 for the style-conscious customer who requires a tote that will last for decades.